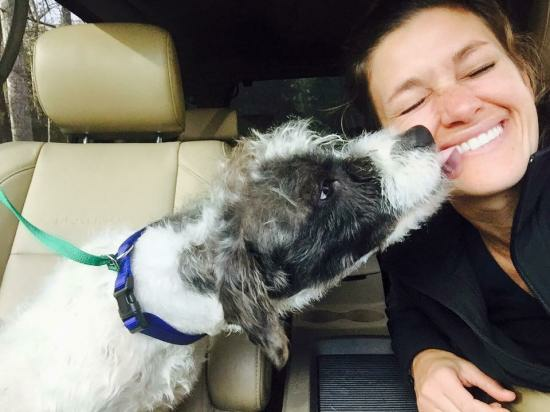 Oreo is a wiggly scruffles boy full of kisses and love! At around a year old he still has puppy energy, but his foster mom reports he is fully house trained and is completely non-destructive! Oreo is extremely submissive and friendly with other dogs, and will even back down to his tiny, little foster fur siblings. His tail never stops wagging and he is down for just about anything. Oreo has never met a human or dog he doesn't like, but those kitty creatures are awfully fun to chase, so he would do best in a household without feline companions. His foster mom says he is still adjusting to walking on sleek hardwood floors, and looks like a baby deer on new legs, awkward and flailing and sliding everywhere.. sounds pretty stinking cute, huh? 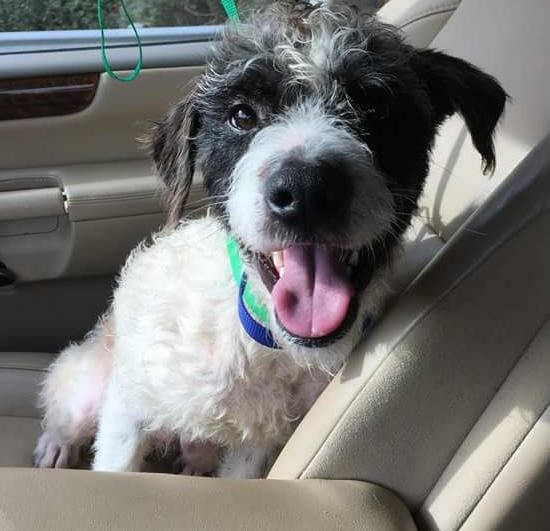 So, if you are looking for a medium scruffy guy with the cutest mohawk who gets along great with other dogs and is full of love, Oreo is the guy for you!